We maybe took our mouth too full when we earlier said that Home & Garden was our first cover. 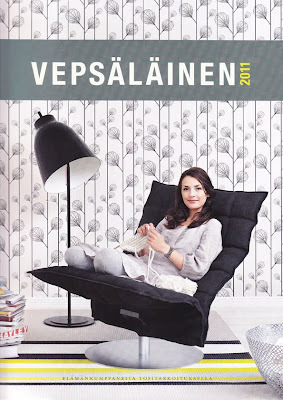 Finish furniture chain Vepsäläinen used our Ripped wallpaper for the cover of their catalog handed out at the Habitare Fair in Helsinki in August. Thank you for sending that to us, Tanja.